A Florida jumbo loan is a mortgage where the loan amount is over the conforming limit. Because such a large amount is being borrowed lenders often charge slightly higher interest rates for these loans. Conforming loan limit varies based on your location, and is higher in areas of the country with higher housing prices. Note: All options below are now available to qualified buyers nationwide. The current jumbo mortgage starts at loan amounts greater than $484,350. The average interest rates on jumbo mortgages are typically higher than for conforming mortgages because they are considered higher risk. This is because if a jumbo mortgage loan defaults, it may be harder to sell a luxury residence versus a standard priced house. High-cost properties can be more vulnerable to market highs and lows. This is one of the main reasons most banks and lenders prefer to have a higher down payment (20%) from jumbo loan seekers. However, Five Stars now offers up to 95% financing for select Jumbo loan applicants across the U.S.
Five Stars mortgage offers some of the highest loan to value (LTV) Jumbo loans available today. If you are homebuyer looking for the lowest down payment Jumbo loan, at the lowest interest rate, be sure to contact us. We are available to assist you 7 days a week. 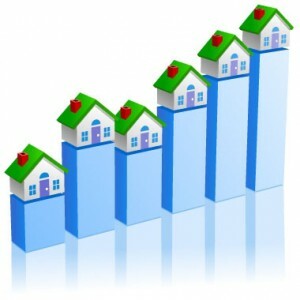 Please also be sure to call ph: 800-871-2636 and visit www.FiveStarsMortgage.com for the latest mortgage info. 95% LTV – up to $2,000,000 with 700+ credit score. (740 score needed for loan amounts above $1.5m) Buyers can choose 1 loan or a 1st and 2nd mortgage combo up to $2.0m. Both Jumbo options have no monthly PMI – mortgage insurance. 90% LTV – up to $3,000,000 with 720+ credit score. 85% LTV – up to $3,500,000 with 740+ credit score. In addition to the full documentation options listed above, Five Stars also offers some nice non-conventional loan options listed below. No tax returns, IRS 4506, or P&L statement needed. Income verification is done by reviewing bank statements. Owner-occupied primary homes and 2nd homes. Investment homes permitted only with greater 20% down. 680 credit score required for all programs. Available for Purchase, Rate/Term Refinance and Cash Out Refinance. 2 Year Bank Statement program for self employed borrowers. 2 years of bank statements needed. Minimum 6 months of savings/reserves. Primary owners occupied, 2nd homes, condo, townhome, SFR only – NO investment home purchases. Loan Amount up to $750,000 with 9 months saving reserves. Loan Amounts up to $1,000,000 with 12 months saving reserves. Available for Purchase, Rate-Term Refinance and Cash Out Refinance. 1 day out of Foreclosure or short sale ok – NO foreclosure or short sale waiting period. Min 580 credit score needed. 24 months bank statements needed. 30 year fixed, no pre payment penalty. Owner occupied and second homes only. Single family, condo, townhome all ok.
Min of 12 months of verify savings / reserves required. 2nd homes and Investments homes only. 1 unit properties only. Home purchase, rate/term refinance and cash out refinance allowed. Minimum of (3) strong credit references from country residing. Up to 65% loan to value. Min 35% down payment required.